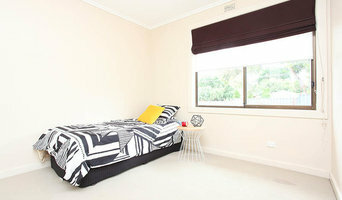 Nothing can compare to living APARTMENTS ADELAIDE a private life in a private environment. In the city, there are endless possibilities for food delivery. Callum Ansell approaches real estate sales with great energy and passion. He brings a broad skill set, with experience in all facets of the business and a high level of professionalism to his role as Sales Representative. With nearly five years’ experience in the industry, he understands the importance of good communication and knowing exactly what his clients need. Callum combines great listening skills with an outstanding talent to negotiate. He is a keen professional with a finger on the pulse of real estate in Adelaide Hills and the surrounding area, plus he has a driving desire to get the best results for the properties sold on behalf of his clients. His experience also allows him to design smart and strategic marketing campaigns that are individually tailored to suit a client’s every requirement. Callum prides himself on his strong work ethic and results-driven approach to all aspects of the industry. He enjoys the challenge of working in Adelaide’s competitive real estate market and is also proud to be a part of a team of genuine professionals at Belle Property Adelaide Hills. He makes a perfect fit for the agency’s boutique branding and exceptional marketing services. Harcourts Packham aren't just skilled real estate professionals; they are real people, living locally, just like you. As multiple award recipients, you can trust that you are engaging proven performers. We will listen to your ideas and empower you to achieve great results with knowledgeable advice and brilliant marketing platforms. We always have buyers and tenants waiting for the next hot listing to hit the market and would love to work with you in helping you show your home in its greatest light; as they say, you only get one chance to make a first impression. With over 20 skilled real estate professionals we are proudly the largest agency on the metropolitan coast and cannot wait to get behind you and help you realise your goals. 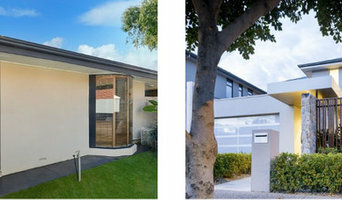 Boutique Real Estate Agency providing individual service to clients in the Adelaide Metropolitan Area. With over 30 years of experience we know how to do things right, so we Offer you a No-Sale, No-Charge Risk Free Guarantee of Service. We take your property to its full potential in the market, creating opportunities for more revenue. There’s no guessing or rash decisions. Our services aren’t restricted to a specific type of property and the advice is dictated by the strengths (and weaknesses) of the land. Our advice is backed by building and construction knowledge and experience… not our personal interests. For our founder, Raquel Pacicca, construction and real estate came naturally to her, and the rest of our team. But through her initial years in the industry, Raquel witnessed her friends and family struggling – having issues as they built, developed, purchased or sold their properties. From happy to stressed, she realized homeowners needed extra support. Raquel is your personal property assistant. She takes care of the tricky, need-to-know stuff, so you can enjoy the journey. National Property Buyers in Norwood, South Australia offer a full suite of property services throughout South Australia and beyond. 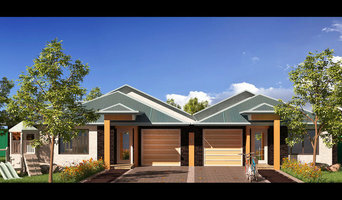 Services include buyers advocacy, vendor advocacy, property management, property development and land sub division. Synergy Strata specialises in Body Corporate Management of Community and Strata Titled properties throughout South Australia. North Adelaide Estate is Adelaide's premier real estate agency located in North Adelaide specialising in property sales, property management, project marketing, commercial and lifestyle properties across Adelaide, South Australia. Our experienced agents are here to help you buy, sell or lease property across Adelaide. 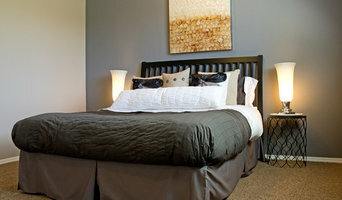 Local Real Estate agency offering design & style advice to help our clients achieve the best sale possible. Real Estate is a complex and dynamic area of work that demands experts to stay informed about rules and regulations as well as the Adelaide, South Australia market. As you can imagine, agents and brokers vary as much as the properties they sell. You'll need to be as savvy in selecting a realtor as they are in getting you the best price. When you're looking to buy a home, a buyer’s agent represents a home buyer or seller in a real estate transaction. A buyer’s agent will find Adelaide property listings that match your needs, works with the seller’s agent to schedule showings and accompanies you on visits to tour the home. If you’re interested in the house, the agent handles price negotiations and other terms of the sale, and coordinates the appropriate paperwork. If you are engaged in a home sale, a seller’s agent will help you determine a listing price for an Adelaide, South Australia property and can suggest repairs, upgrades and staging ideas to boost the home’s appeal. He or she is in charge of marketing the house to prospective buyers and other agents through signage, websites, print ads, open houses and other methods. As with a buyer’s agent, a seller’s agent represents you in negotiating the sale. Find an agent or broker on Houzz. Narrow your search in the Professionals section of the website to South Australia agents and brokers. If you’re in the market to buy or sell a home, you may be interested in hiring other professionals as well. Here are some related professionals and vendors to complement the work of real estate agents: Home Stylists and Property Staging, Photographers.